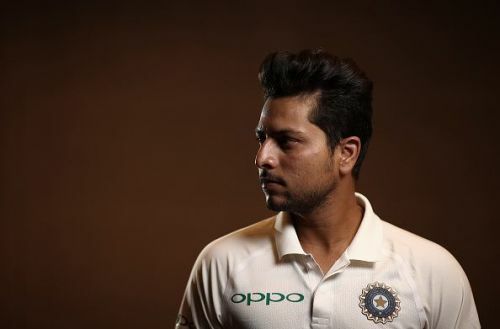 In an exclusive chat on Sportskeeda's #MindVoice, India's spin sensation Kuldeep Yadav opened up about a range of topics, even beyond cricket. A small part of the interview is below, where he describes his love for Neymar Jr, and how the footballer's switch from Barcelona to Paris Saint-Germain almost made Kuldeep switch loyalties. You can also read part-1 and part-2 of the interviews. Known to be a huge Neymar fan, Kuldeep was asked which club he currently supports, with the Brazilian no longer at Barcelona. "It’s a very difficult question to ask", Kuldeep admitted. Before, when Neymar was in Barcelona, I used to support them. Nowadays, I am supporting both PSG and Barcelona, because Barcelona is my team and Neymar is my player. So yes, I am supporting both. "I want Neymar to be back in Barcelona again". When asked what was his reaction when the switch happened, Kuldeep admitted that it was difficult for him to digest as a die-hard fan, and he literally 'cried for two days'. "You must have seen my Instagram post. I was literally crying for two days. I didn't want him to go to PSG. Barcelona is my team, and I wanted him to stay at the club, and maybe create some more records with Lionel Messi". "4 years and 4 incredible and unforgettable seasons. I can't watch his recent post and not cry" is part of what Kuldeep posted after the transfer. The spinner was then in Sri Lanka, travelling with the Indian team for a tour to the island nation. In August 2017, Neymar Jr moved from Barcelona to Paris Saint-Germain for a record fee of £200m. The now 27-year-old had signed a five-year contract with the French club, and the transfer fees is still the record-highest for any player overall.